Today I want to write about one of the rarest birds in the world that also has one of the largest wingspans, the Amsterdam albatross. These huge birds have a wingspan of well over 3 metres, helping them to fly long distances over the ocean. They were only discovered in 1983 and when they were found, there were only 5 breeding pairs, but the numbers have slowly increased to about 30 breeding pairs. They get their name because they only breed on Amsterdam Island, a small island in the middle of the Indian Ocean. They only come to land to nest and spend the rest of their lives in the air. Amsterdam albatrosses breed every second year and both parents help to incubate the eggs and feed the chick. The parents will fly up to 2,200 km to find food for the chick until the chick weighs more than the parent. 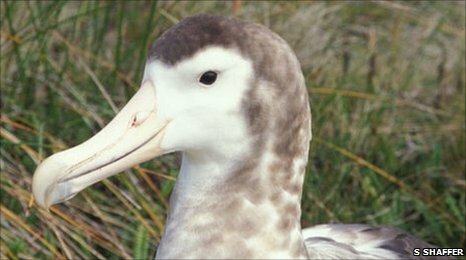 Not much is known about these critically endangered birds because they live in such a remote area, but there have been a few things put in place to help save the beautiful Amsterdam albatross. Feral and introduced animals and diseases are the biggest threats, but hopefully enough can be done so that their numbers can increase in the years ahead. Are there any other interesting facts that you would like to share about Amsterdam albatrosses?